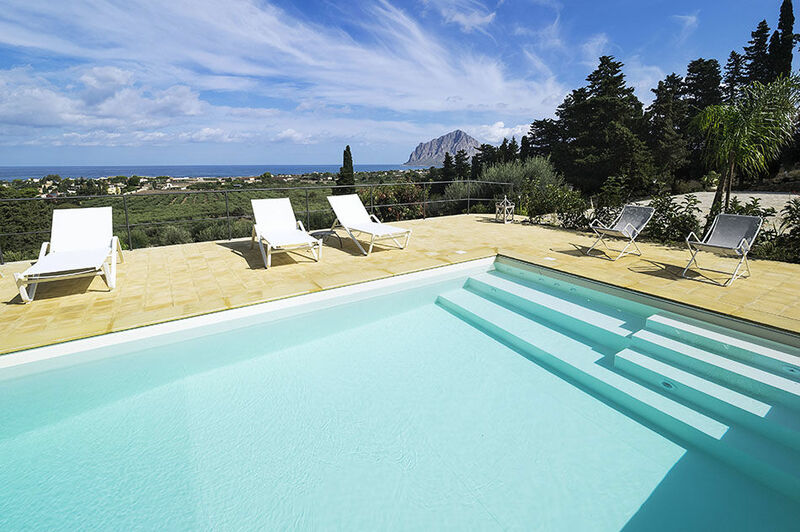 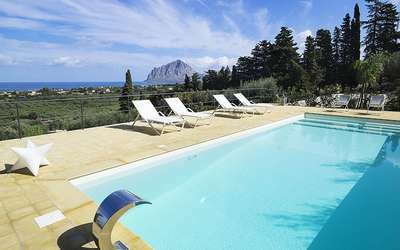 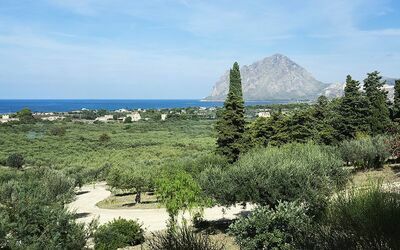 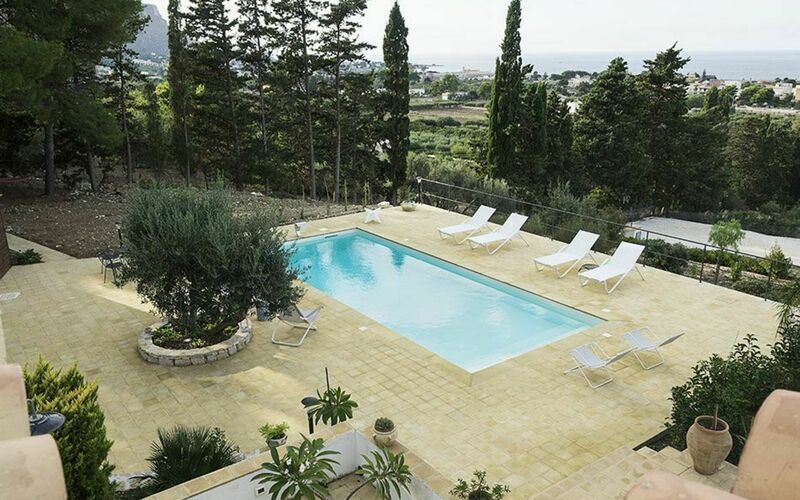 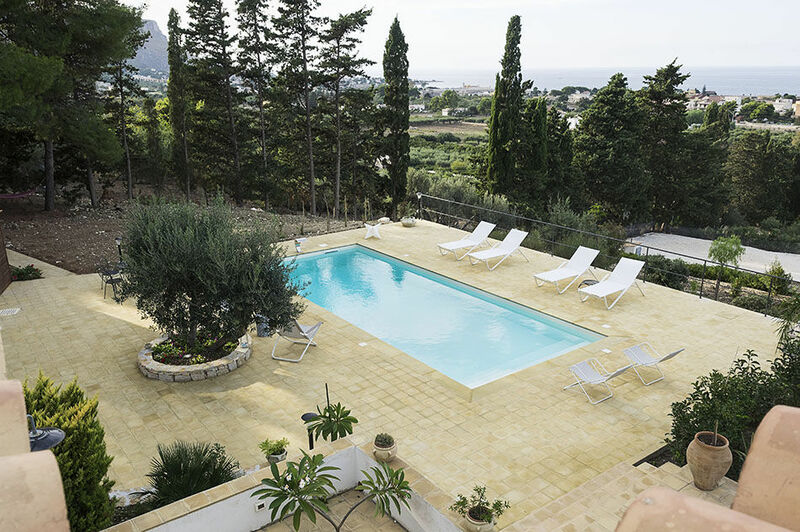 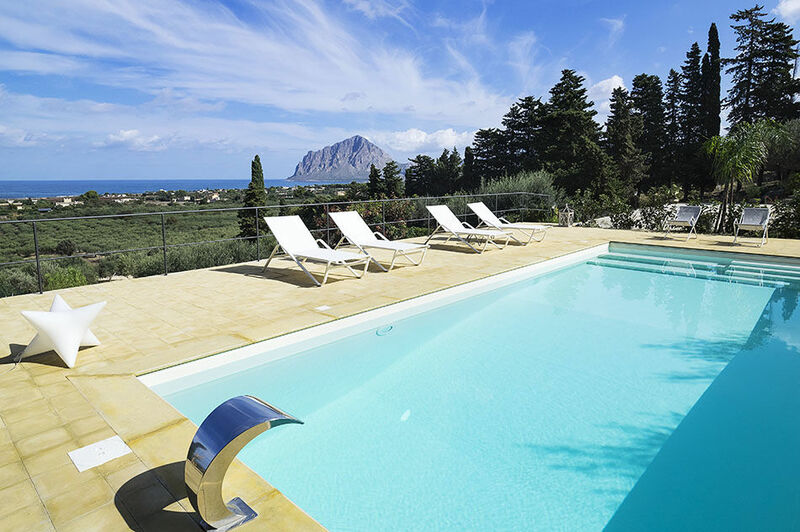 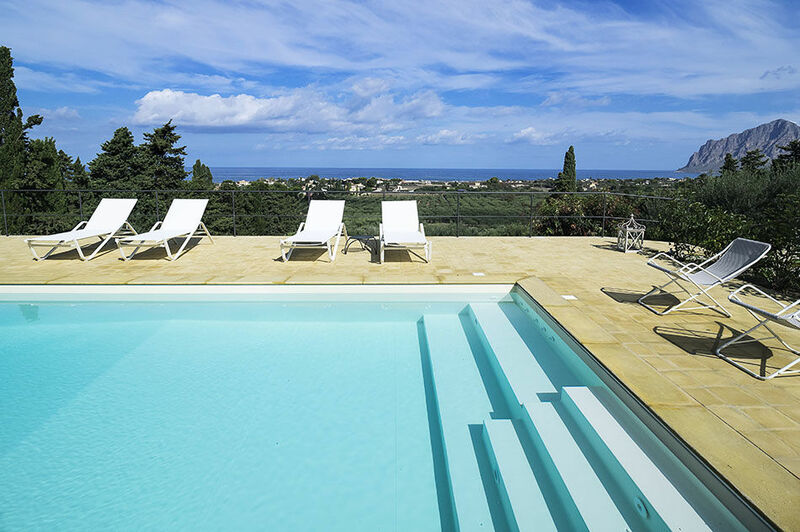 Valdo Erice is a beautiful villa with swimming pool situated in a panoramic location, in the vicinity of Trapani. 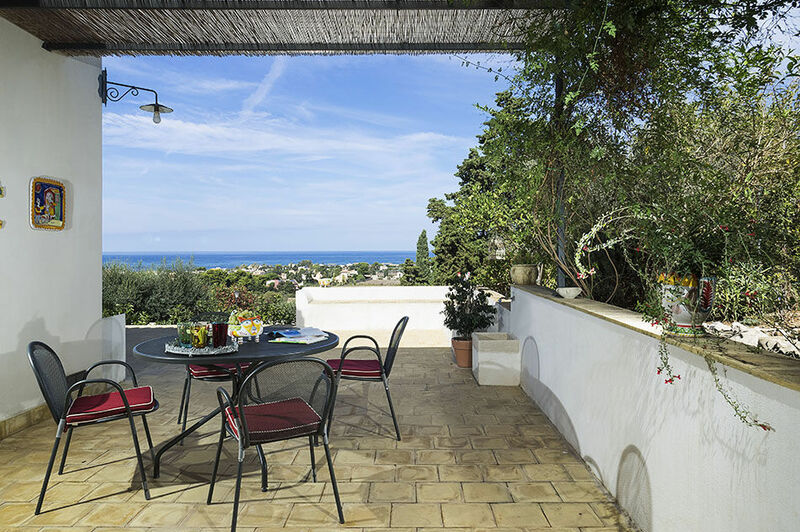 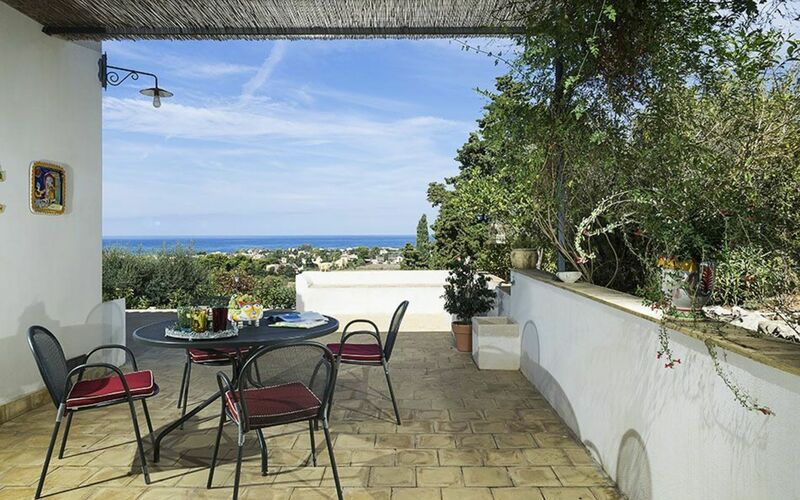 This newly built dwelling enjoys lovely views of the Mount Cofano and the sea. 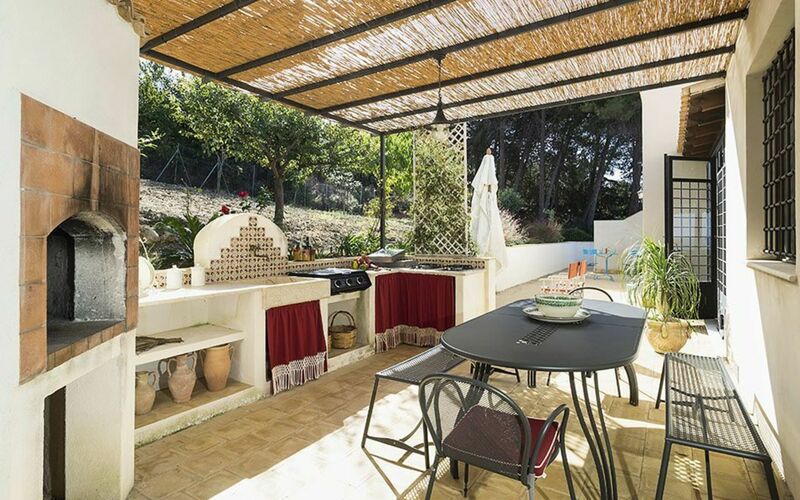 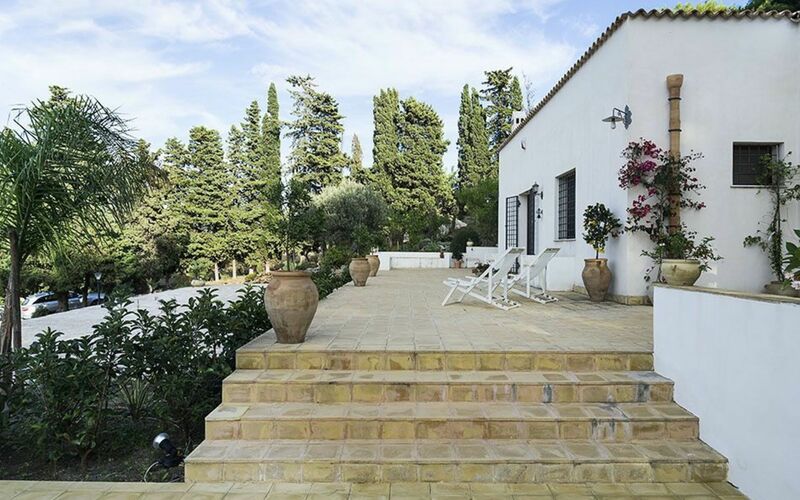 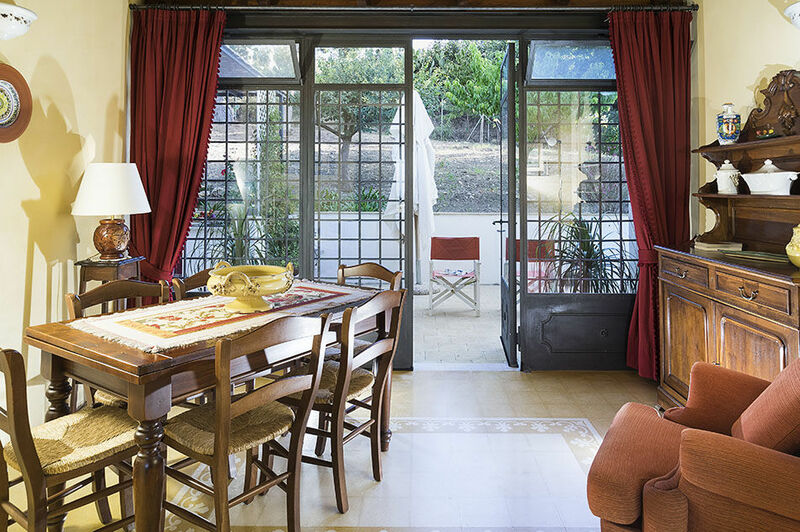 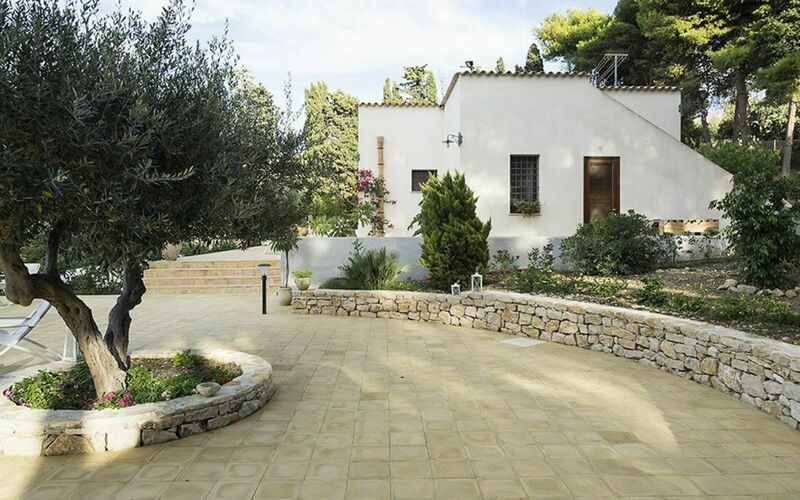 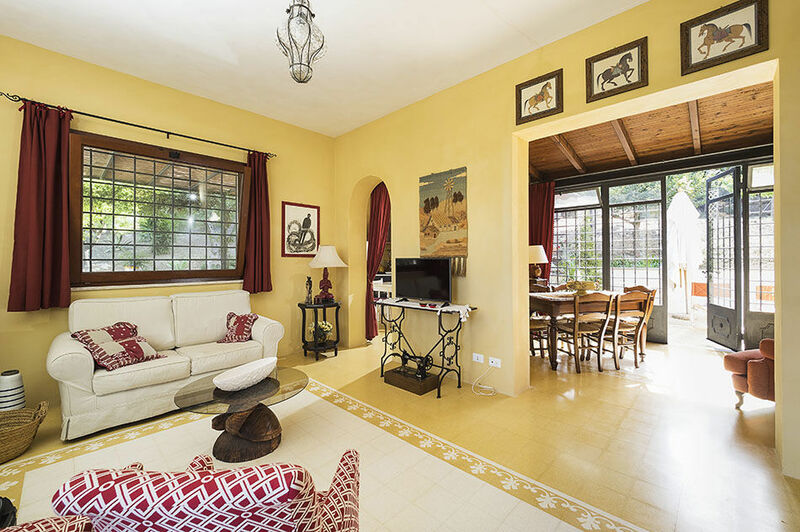 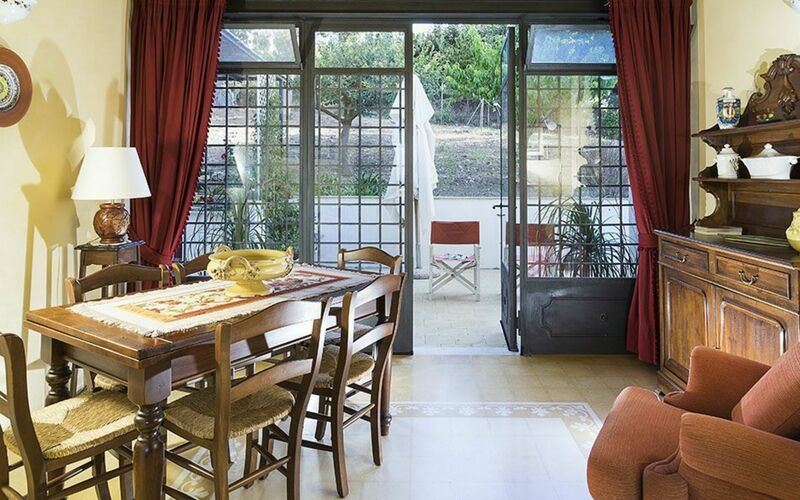 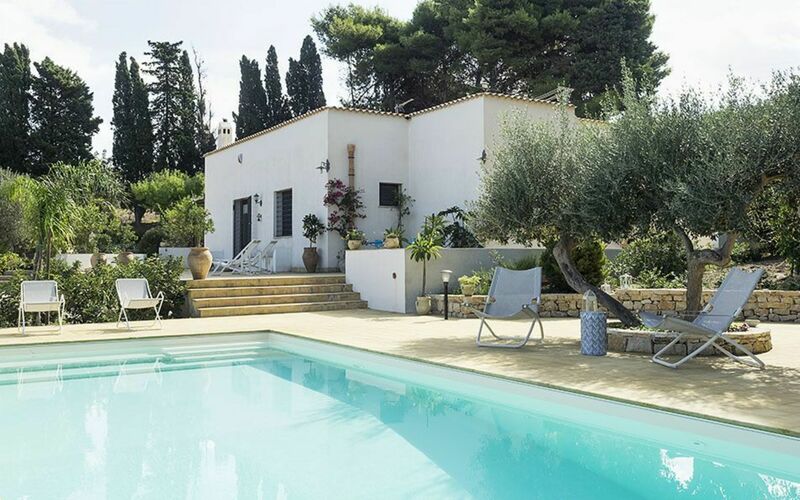 Surrounded by a luxuriant garden, the house is on one level and offers a splendid pool and two large, well-equipped terraces (dining area, outdoor kitchen, bbq). 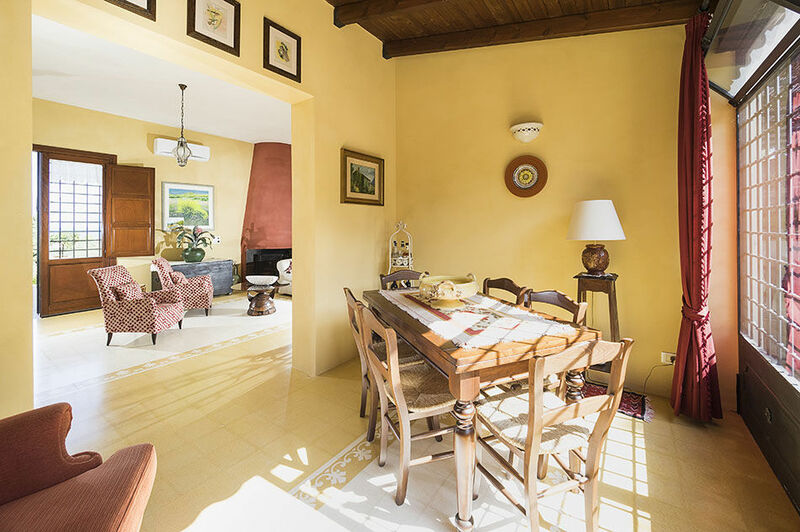 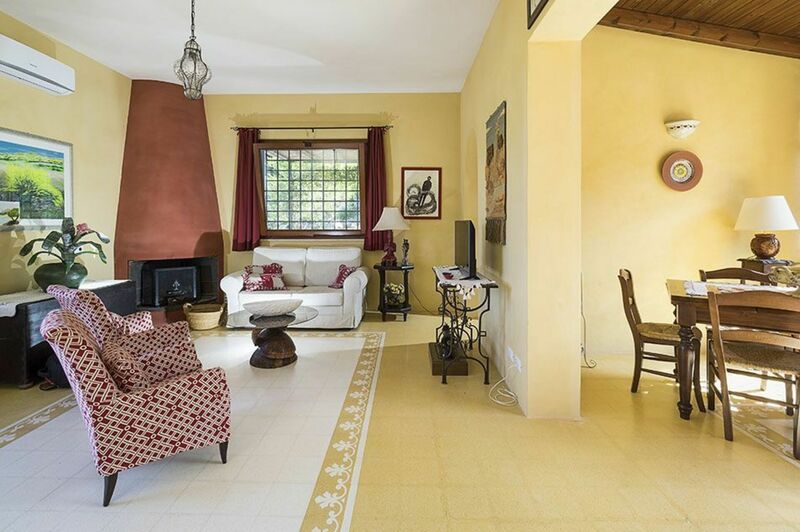 Carefully furnished in a delightful country style, it includes a living room with fireplace, dining area, kitchen, a double bedroom, a twin bedroom, a single bedroom and two bathrooms. 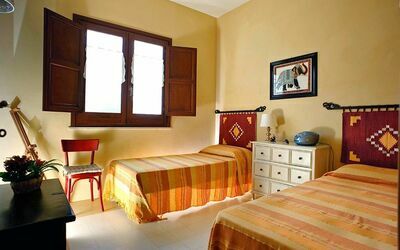 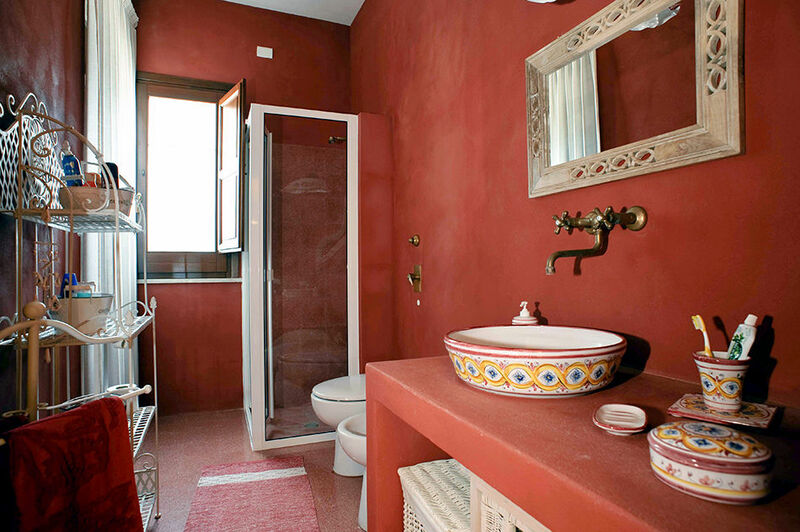 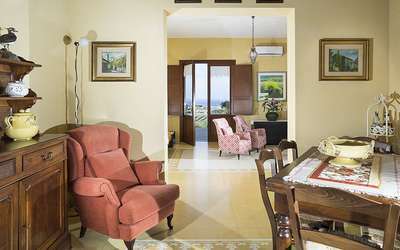 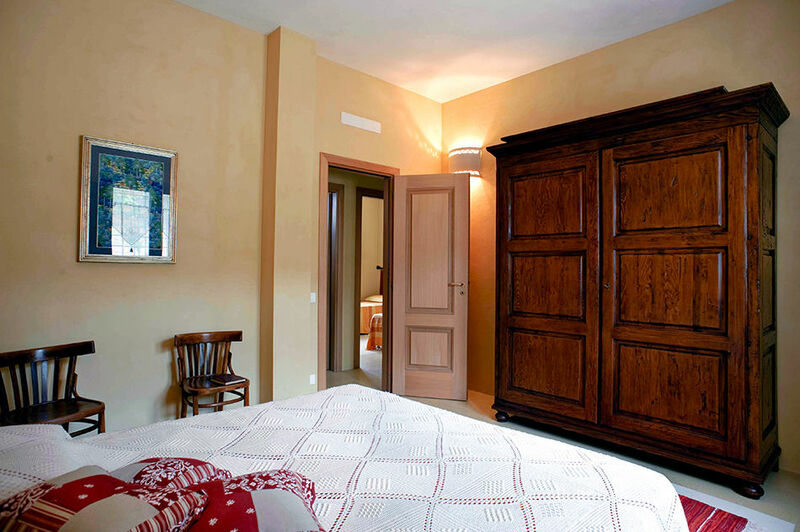 The villa is also equipped with air/conditioning, internet Wi-Fi, satellite TV and washing machine. 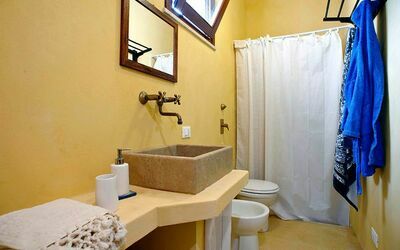 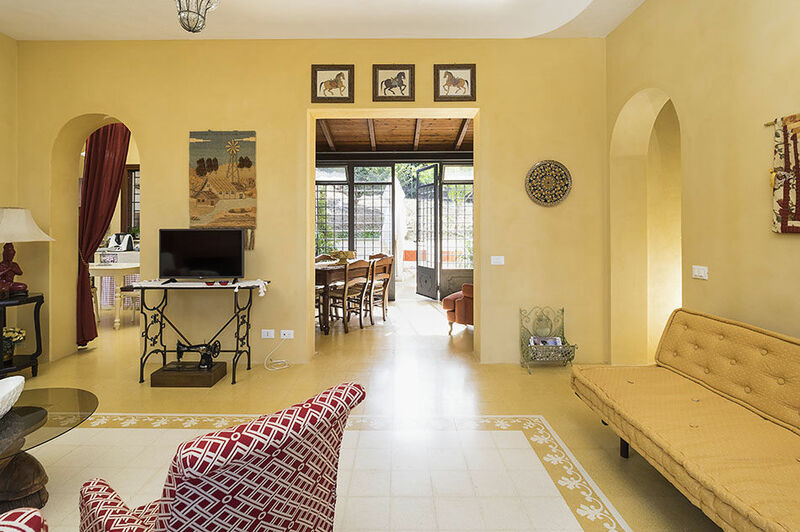 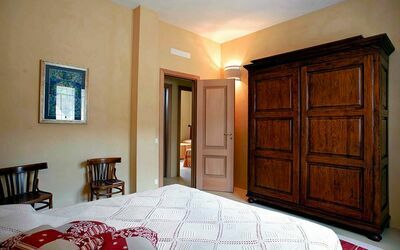 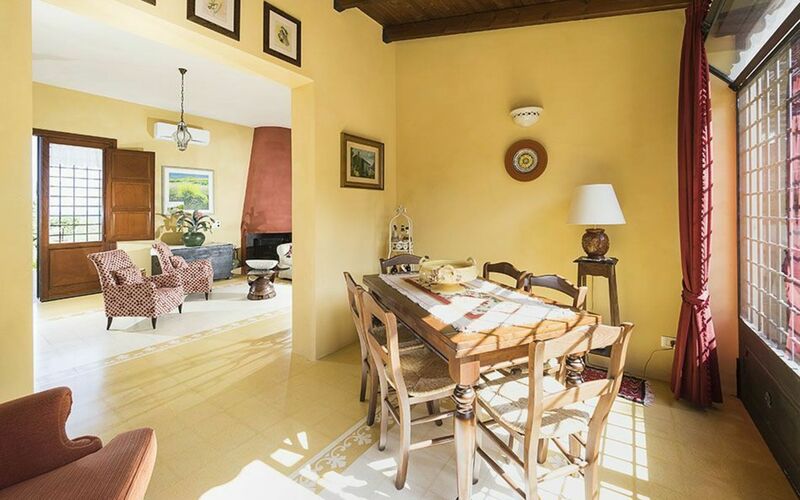 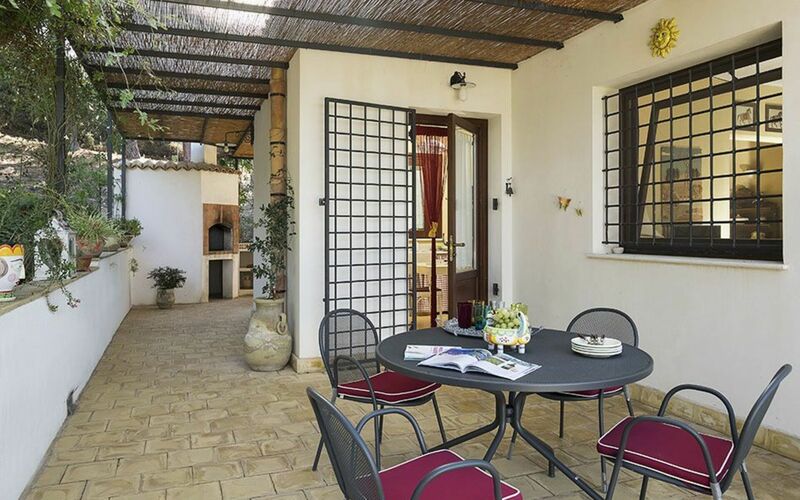 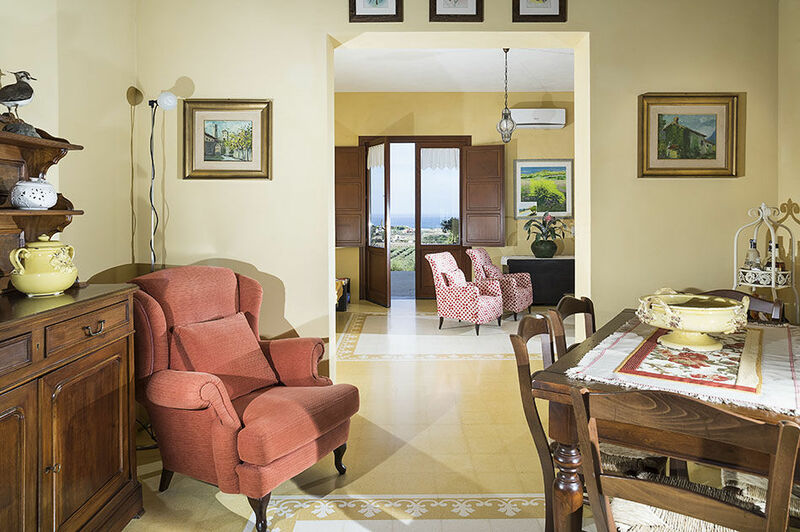 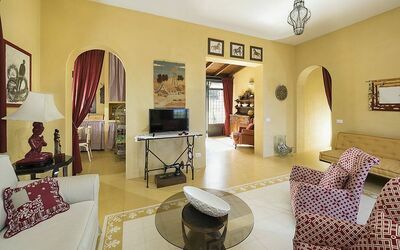 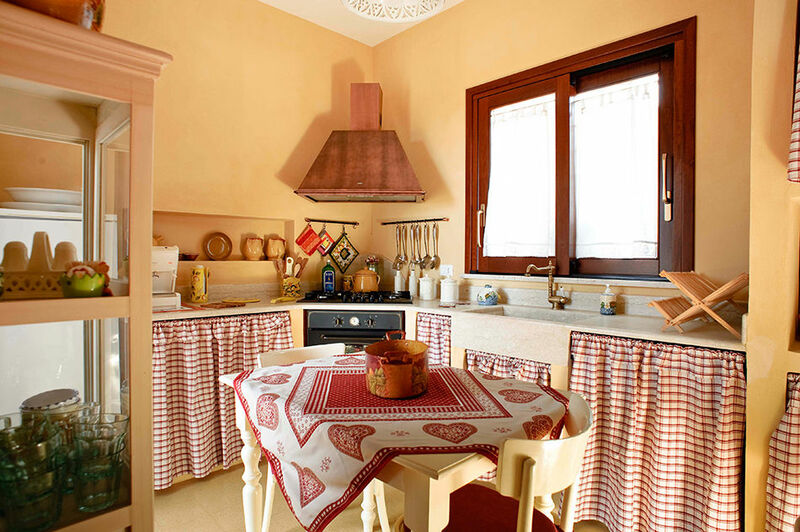 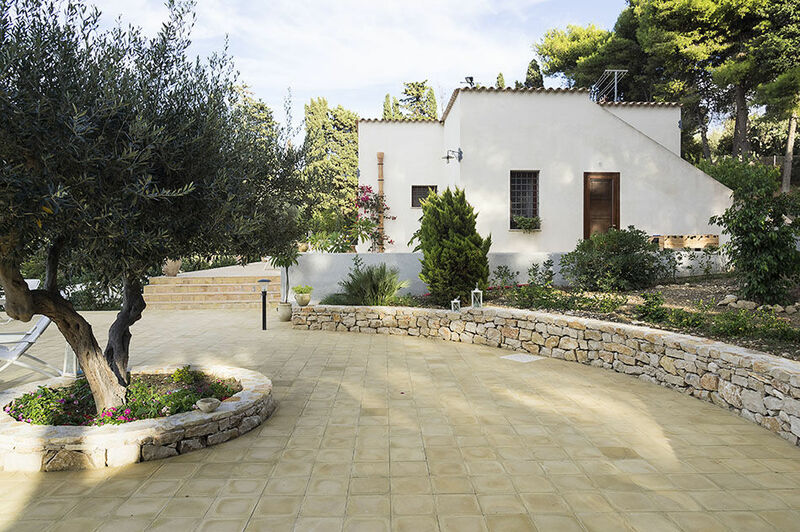 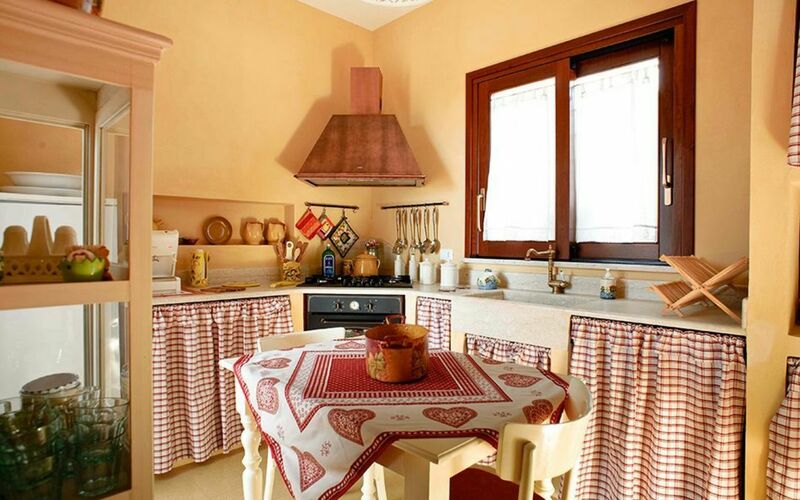 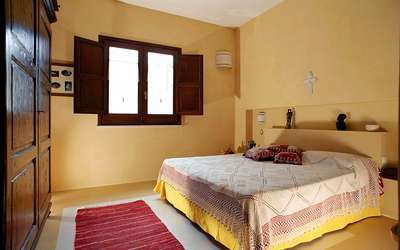 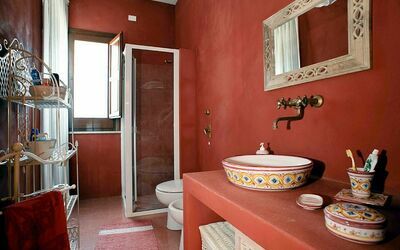 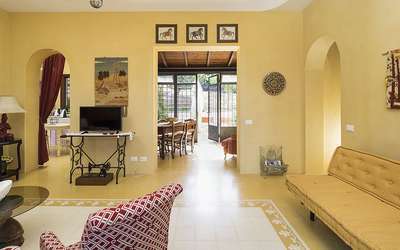 Casa Valderice is also a great base for visiting the beauties of the surrounding area such as Erice, Trapani, Marsala, the Egadis, the Zingaro nature reserve and the archaeological sites of Segesta, Mothia and Selinunte. Ground Floor: living room with fireplace, dining area, kitchen, 1 double bedroom, 1 twin bedroom, 1 single bedroom, 2 bathrooms with shower. 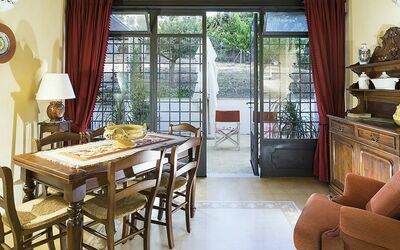 Veranda, terrace with outdoor kitchen, bbq and dining area, garden, swimming pool, sun terrace. Mar 30, 2019 Apr 27, 2019 Any 8 € 216 n.a. Apr 27, 2019 Jun 01, 2019 Any 7 € 275 n.a. 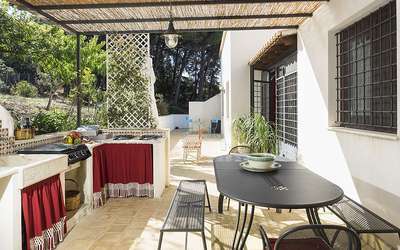 Jun 01, 2019 Jun 22, 2019 Any 7 € 329 n.a. Aug 31, 2019 Sep 28, 2019 Any 7 € 329 n.a. Sep 28, 2019 Jan 04, 2020 Any 7 € 255 n.a.